WorkSafe has revealed that asbestos was discovered at a St.Kilda amusement park, Luna Park. The deadly substance was discovered in a tower that supports a large, smiling face structure. The substance was reportedly removed when the iconic fun park was closed in June last year. WorkSafe issued a safety improvement order to the park management, which did not update a mandatory register for hazardous materials for more than 10 years. The occupational health and safety laws breach, was discovered when former CFMEU state secretary Martin Kingham was employed by Luna Park to monitor the restoration project. Kingham was a former Victorian president of the Asbestos Diseases Society of Australia. He led many anti-asbestos campaigns during the 1980s. 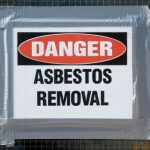 A WorkSafe report stated that Kingham had provided them with an asbestos register for the workplace but the register was dated May,2001—more than five years old. According to Victoria’s OHS laws, Asbestos registers must be reviewed and if required, updated every five years. Luna Park executive director Mary Stuart insisted that the park was safe for visitors, following a thorough audit of the park last year. Stuart said the deadly asbestos was not a threat to the public since it was not friable or powder-like. Stuart stated that the park takes its health and safety requirements very seriously.Over the past decade, WorkSafe has found serious breaches of OHS legislation. Electical improvements were ordered for a ride that risked the safety of children when it rose four metres in the air.